A beautiful metaphor to mark the 80th anniversary of Alvar Aalto's Stool 60, designer Nao Tamura features a cross section of an 80-year-old tree on the seat of this special edition stool. A tree's rings tell a story of yearly trials and tribulations, a wise towering giant that has grown with us to see it all. Tamura's intention of imprinting this "complex and organic graphic of life" onto this classic stool is to, "�evoke the bounty of nature as seen by the passage of 80 years of time." 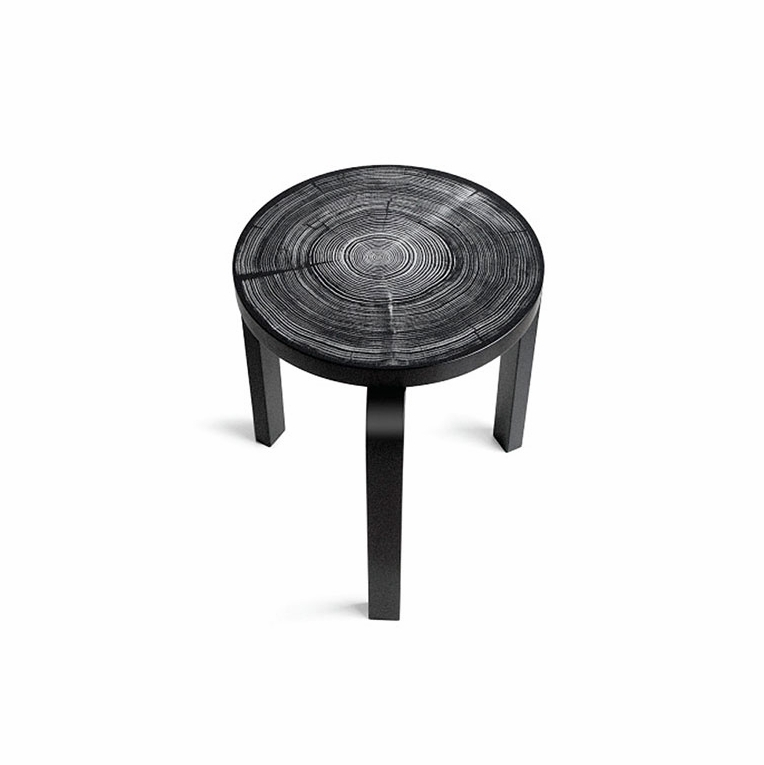 This lacquered black stool with white tree ring graphic design will spark interest, making it a truly remarkable conversation and commemorative piece to own.Please review our Shipping Information page before ordering. Payment: 50% will be charged at time of order, remainder will be charged at time of shipment.